Purchaser owns all copyrights to the submitted image file and the image submitted does not violate any copyright or trademark laws. Any pictures in violation of copyright will not be made. 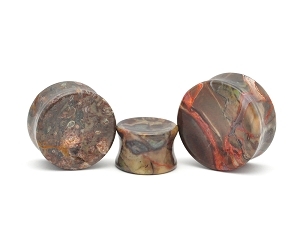 I understand that custom plugs are made to order and cannot be returned for wrong size ordered. YOU CHOOSE THE PICTURE! Just place this in your shopping cart, checkout, and email your picture to: support@mysticmetalsbodyjewelry.com! Made to order: Ships in 5-7days. Available in 16-2". Choose from Single, Double Flared, or Screw on. SOLD IN PAIRS. Quantity 1 = 1 pair. *please note: You can now upload two different pictures directly to the item page. If you need the SAME picture, just upload the same file to both "Left Plug" and "Right Plug" options. Thank you. 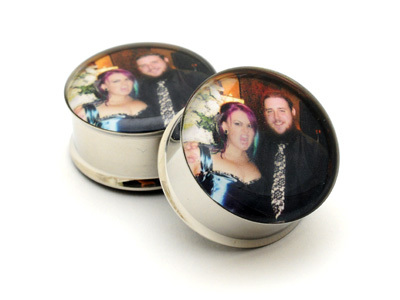 IMPORTANT: You must own the copyright for the picture being made into custom plugs. This means that we can do personal pictures and artwork that you have made. We CANNOT make plugs with movie stills, characters, logos, band logos, company logos, etc. This violates international copyright and trademark laws. 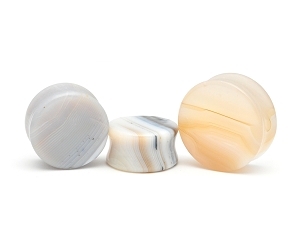 Aside from the day my children were born receiving my custom plugs was the best thing ever! 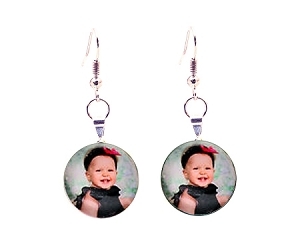 Now I’m able to wear my plugs around with pictures of my kids. Thank you guys! I ordered some custom double flares with my fiance's face on them. Cheesy? Yes. Slightly extra? Oh yes. But when he saw them, he loved them. They're great quality, and the picture was printed very clearly. I can't wait to order more gauges from here! I happened to stumble across an ad online advertising this product. My first thought was “Yes! I can’t wait to embarrass my boyfriend!” I never thought these would turn out as good as they did. I picked the most ridiculous picture, and they did a fantastic job sizing it down and cropping it to fit. I can’t wait until I have to sit through Christmas with his family this year! I have the perfect jewelry to wear now. They came in less than a weeks time, AND they sent me a free pair to try out as a thank you. I also got a little two pack of starburst, but my son rudely stole that almost immediately. I will say that this is the first time I’ve ever worn metal plugs that unscrew on the back. I’m not sure if I’m a fan of that, but it may just take some getting used to. I bought my sister plugs with my dog's face on them and they came out so cute! The cost (even after taxes and shipping) was much less than other websites. I'm super happy with my purchase. 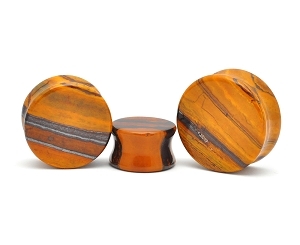 Ordered a pair of custom plugs for my sister’s graduation gift and I cannot express how much I love these plugs! Amazing quality, photo came out perfect, awesome and kind staff and they came faster than I expected! Cannot wait to order something from them again! !